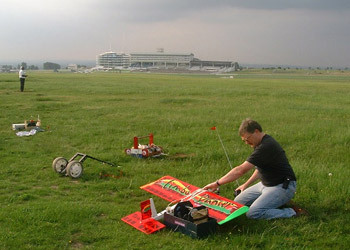 Epsom Downs Model Aircraft Club formed. 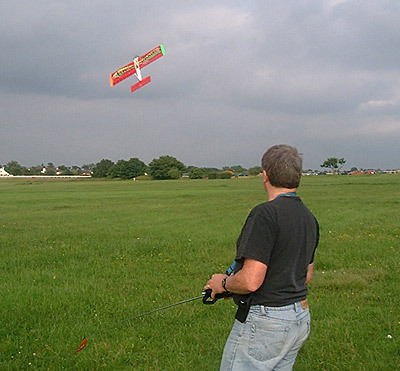 I live near Epsom, Surrey in the UK and fly radio controlled (r/c) models. My regular flying site is Epsom Downs, where I have flown since around 1992. This web site contains some information for potential modellers, a few aerial photos and links to other web sites. As time permits this site will be extended. In R/C modelling - as in many other aspects of life - there is often no definite right and wrong answer to a particular problem. Most people have their own opinions and ways of doing things. You can sometimes ask 5 modellers the same question and get 6 different answers! All of the answers will be right - at least to the individual giving the answer, at the time the answer was given - probably. Everything in these web pages should be regarded as my personal opinion and is given in good faith. Thanks to Grant Kinnaird for the two pictures above, taken on the Downs on June 16 2000. All other pictures I'll own-up to!